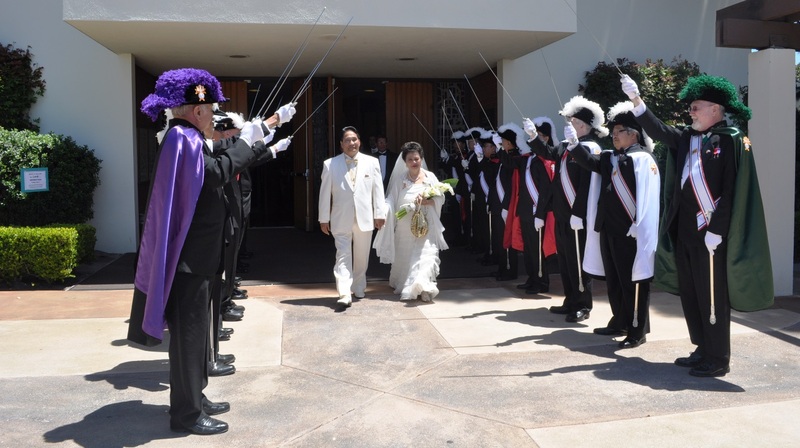 The Color Corps is an ELECTIVE division of the Fourth Degree, whose distinctive presence in parades, wreath-laying ceremonies, Confirmations and other Catholic functions are a visible reminder of our service to the community. There is a new Fourth Degree Uniform with blazer, tie, dark grey pants and beret. 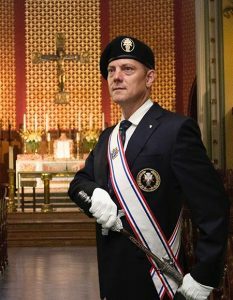 The ceremonial sword symbolizes Christian Knighthood, and is carried to signify reverence to Church, Eucharist, country and freedom. 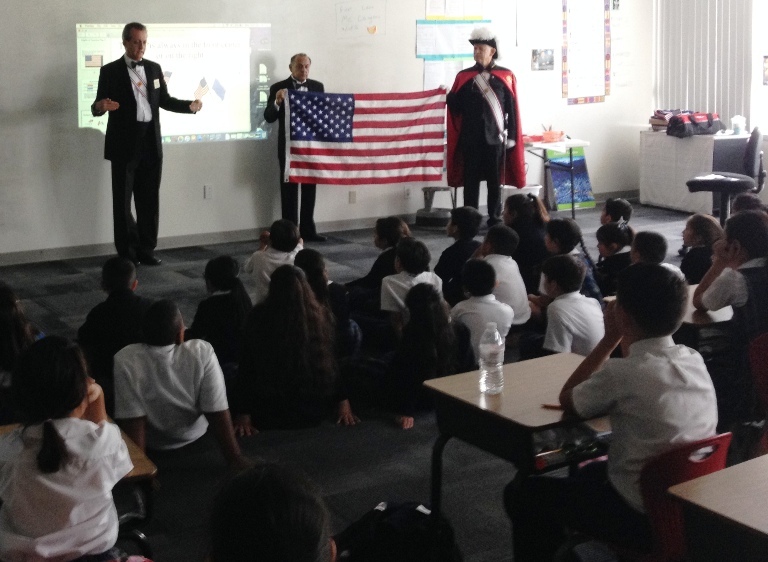 Color Corps members wear the colors with pride, knowing they represent the very best of the Knights of Columbus. Current cost of beret, blazer, tie and dark grey pants is about $510 from Knights Gear. Lynch and Kelly NOTE: Lynch and Kelly has sold their assets to Supreme and they have closed the business. 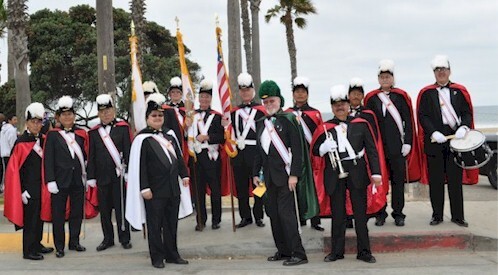 Certain members of the Fourth Degree serve as Color Guards and Honor Guards at civic and religious functions, an activity which has brought worldwide recognition to the Knights of Columbus organization. Honor Guardsmen have mastered the “Manual of the Swordsmen”. ➢ Service Baldric, together with a sword, worn over the blazer front from the right shoulder to the left hip. When a sword is not permitted for any reason the Service Baldric shall be worn nevertheless. Meetings and Functions: When a Fourth Degree member attends an official function of the Order where Fourth Degree dress is required (whether member regalia or Color Corps regalia), he may wear the current medal of his office around his neck, Assembly, Council, State Council, Supreme Council or Supreme Assembly. At a Fourth Degree exemplification the only lapel pin allowed is the Official Knights of Columbus Fourth Degree Lapel Pin (#PG-113). 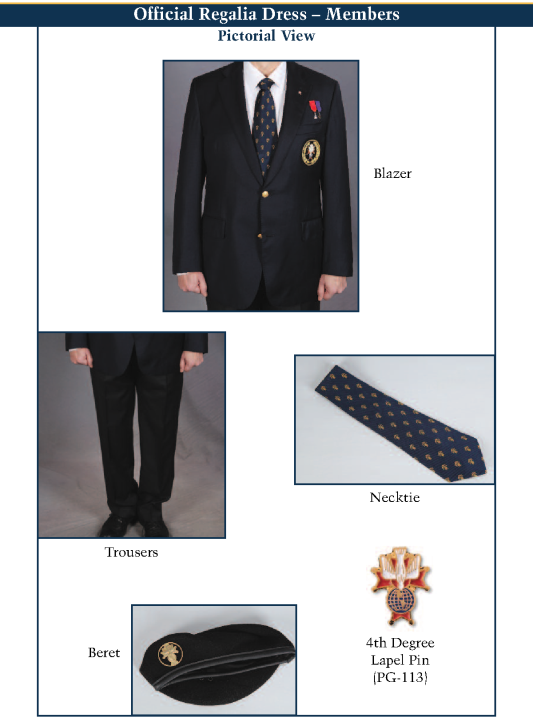 For Fourth Degree exemplification attire for members, candidates and military, refer to Official Instructions. A Former Supreme Director, Past State Deputy, Former Vice Supreme Master, Former District Master, Former District Deputy, Past Grand Knight or Past Faithful Navigator may wear their Past and Former Miniature Medal for offices held in accordance with the guidelines detailed in this manual and in the Protocol Handbook. No other medals other than Papal Medals, may be worn, upon the Official Blazer. A pocket name badge is not worn with Member or Color Corps regalia. Explanation of the colors worn by the Fourth Degree when in full regalia, and what these colors signify.